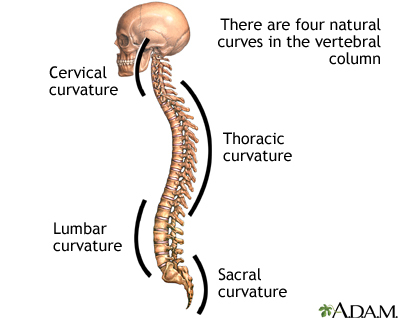 There are four natural curves in the spinal column. The cervical, thoracic, lumbar, and sacral curvature. The curves, along with the intervertebral disks, help to absorb and distribute stresses that occur from everyday activities such as walking or from more intense activities such as running and jumping.